The 10th edition of EFOP is nearly upon us. 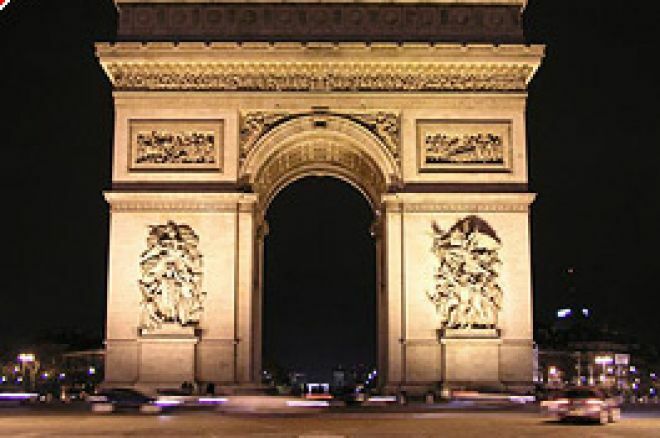 EFOP is the mnemonic for one of Europe's major poker festivals, the rather straightforwardly named "Euro Finals of Poker" held at the world famous Aviation Club de France on the Avenue des Champs Élysées, Paris. This festival's Main Event is the EFOP Diamond Championship which runs from 9th to 11th December, and is a €3,000 buy-in No Limit Texas Hold'em tournament. Last year's final table included the UK's Julian Thew (3rd) and Marc Goodwin (5th). Alexandre Nowak of France won the title. During the course of the Main Event, on 10th December, there will also be an award ceremony for the Upperclasspoker.com European Poker Awards, an event that has run since 2001. Our UK Poker News Weekend writer, Nicky O'Donnell, alluded to these in more detail in this weekend's edition. exclusive competitions, so you have the opportunity to gorge yourself on poker before doing the same to the turkey over Christmas. Included in the fare are separate events especially for seniors and ladies, as well as Omaha, Limit Hold'em and HORSE tournaments. Monday 4th December through to Friday 8th December sees five No Limit Hold'em Rebuy tournaments, one on each evening beginning at 7pm CET. Each commands a 90 minute rebuy period followed by an add-on. The entry levels are, respectively, €100, €150, €200, €250 and €300. Saturday 9th December through to 11th December sees the running of the Main Event as already described. On the evenings of the 10th and 11th, there will be €100 super-satellite rebuy events to the EFOP Omaha Championship which runs on 12th December. Tuesday 12th December is the date for Omaha fans! This is a big one that should see some of Europe's specialists at work. The event is the EFOP Omaha Championship, a Pot Limit Omaha €1,000 Double Chance Freezeout. Wednesday 13th December heralds an event that is quaintly described as the EFOP Seniors Championship but does in fact allow all participants from the ripe old age of 45 and higher! This is a €500 No Limit Hold'em Freezeout event. On this evening there will also be a €100 super-satellite rebuy event to the EFOP Gold Championship which runs on 16th December. Thursday 14th December introduces us to the EFOP Limit Championship, a €250 Limit Hold'em Freezeout event. Friday 15th December is the day of the EFOP Ladies Championship costing €100 to enter. This is a No Limit Hold'em Freezeout excluding all men! On this evening there will again be a €100 super-satellite rebuy event to the EFOP Gold Championship which runs on 16th December. Saturday 16th December is, as mentioned earlier with regard to super-satellites, the day of the EFOP Gold Championship, a €1,000 No Limit Hold'em Freezeout contest. Sunday 17th December sees the playing of the EFOP Silver Championship, a €500 No Limit Hold'em Freezeout tournament. Monday 18th December is for the EFOP Bronze Championship, a €250 No Limit Hold'em Freezeout event. Tuesday 19th December sees the EFOP Mini Championship being played, a €100 No Limit Hold'em Freezeout. Finally, Wednesday 20th December is the day the "HORSE" is led out. A rare animal in European poker festivals, this mix of limit poker variations is a true test of poker skills. The EFOP HORSE Championship has a buy-in of just €100 and comprises a carousel of Limit Texas Hold'em, Limit Omaha Hi/Lo, Limit Razz, Limit Seven Card Stud and Limit Seven Card Stud Hi/Lo. It all sounds quite a treat for poker players in Europe! Ed note: Enjoy a festival of European poker when you download Everest Poker and we'll throw in a special $50 bonus on top of the $100 on offer from Everest! Tony G Wins the Betfair Asian Poker Main Event: Donates Half to Charity! The Final Ten Take Their Seats in Singapore.